The world is full of sacred sites, from England's Stonehenge to Shamanka - Shaman's Rock - in Russia, from the Acropolis in Greece to Japan's Mount Fuji, from the Ziggurat of Ur - sadly under threat in Iraq - to the volcanic Tongariro in New Zealand, and from Machu Picchu in Peru to Mount Shasta in the USA. To visit them all would take more holiday than most of us hard-working people get, more money than we can probably afford and more air traffic pollution than our carbon footprint should allow. Some of the locations are also difficult or dangerous to reach. However, a new set of oracle cards by shamanic teacher Barbara Meiklejohn‐Free allows you to draw on the magic of these ancient, spiritual places while the beautiful illustrations by Yuri Leitch let you see what they look like and glimpse the power within the landscape. 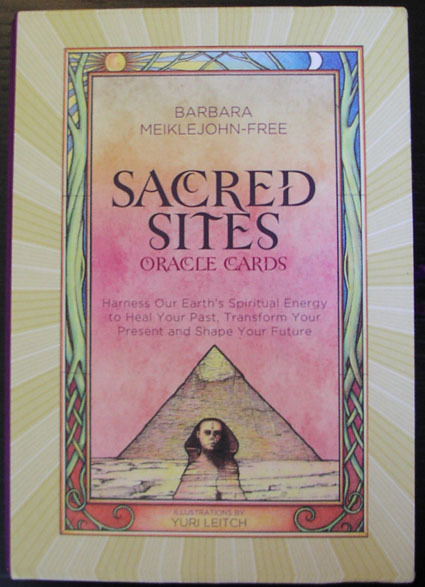 The boxed set, which comes with a full colour book, is called simply Sacred Sites Oracle Cards. The subtitle is: Harness Our Earth's Spiritual Energy to Heal Your Past, Transform Your Present and Shape Your Future. Each card gives a summary of the site's energy focus and the three life dimensions - Lower World, Middle World and Upper World - associated with it. All you need to do is pick a card and study the messages from the three realms, which also symbolise the past, present and future. There is also an exercise on each card, such as a chant or visualisation, to help you get the most from it. Publisher Watkins says on its website: "Featuring 52 sacred sites from around the world, this unique oracle...allows you to work with the sacred earth energies and covers the three dimensions of your life: past, present and future. A helpful guidebook accompanies the cards and includes an introduction explaining Barbara’s personal experience of interacting with sacred sites and how the energy of these places will help you to heal your past, understand your present and shape your future. It also explains the relevance of the Four Directions (north, east, south and west) and the Three Worlds (Lower, Middle and Upper), as well as the process of interpretation (a one‐card reading)." When I first opened my deck, I went through them and separated out the ones I had personally visited - only six. They are: Giza and Karnak in Egypt, Knossos in Greece, Die Externsteine in Germany, and Stonehenge and Glastonbury in England. You can see their cards in the photo at the top. I then picked out places I felt particularly drawn, to but have never visited. 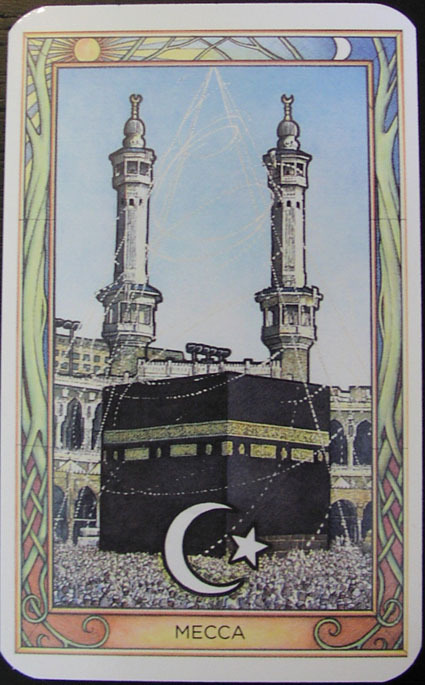 The cards that represent them are pictured at the bottom. 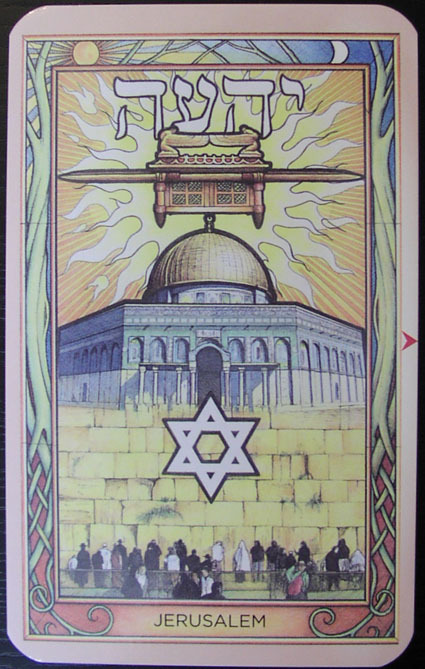 Some I suspect I will never get the chance to see in real life, but I know I can draw inspiration from them by meditating on their images, reading about their history and meanings, and performing the exercises given within the Sacred Sites deck.